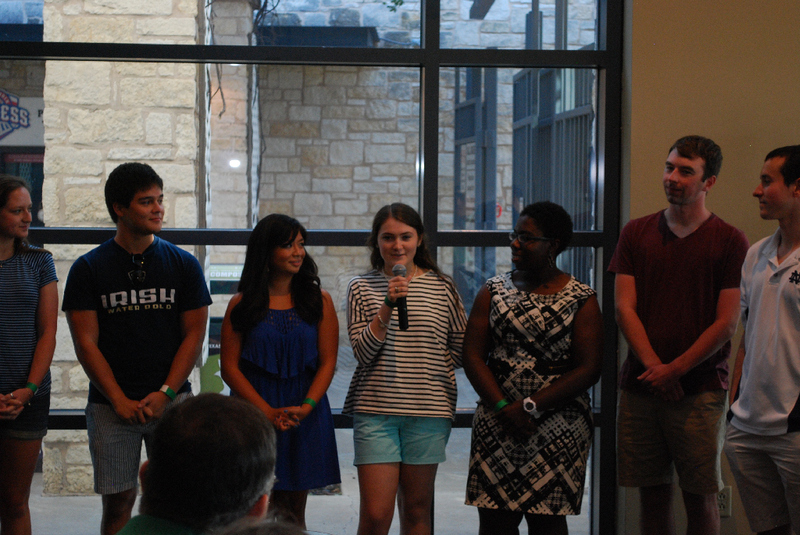 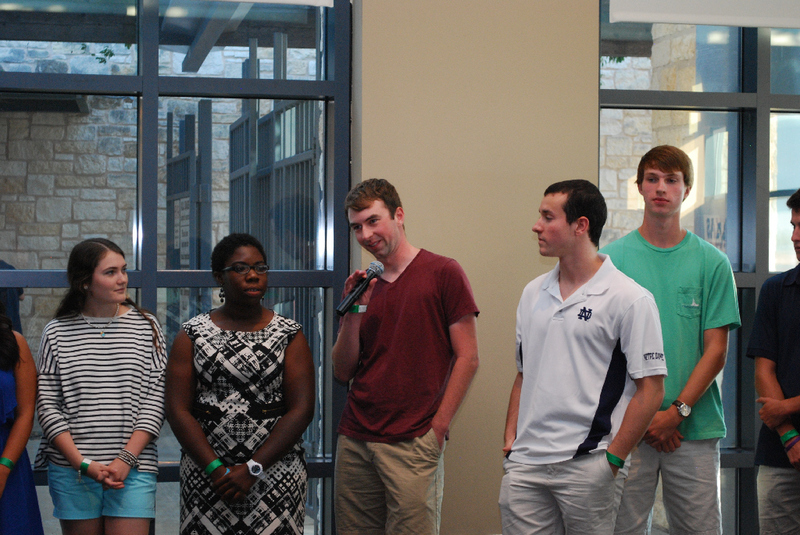 The 2014 Student Send-off was an incredible success. 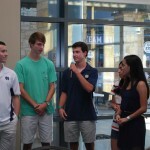 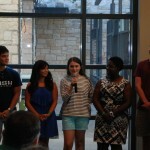 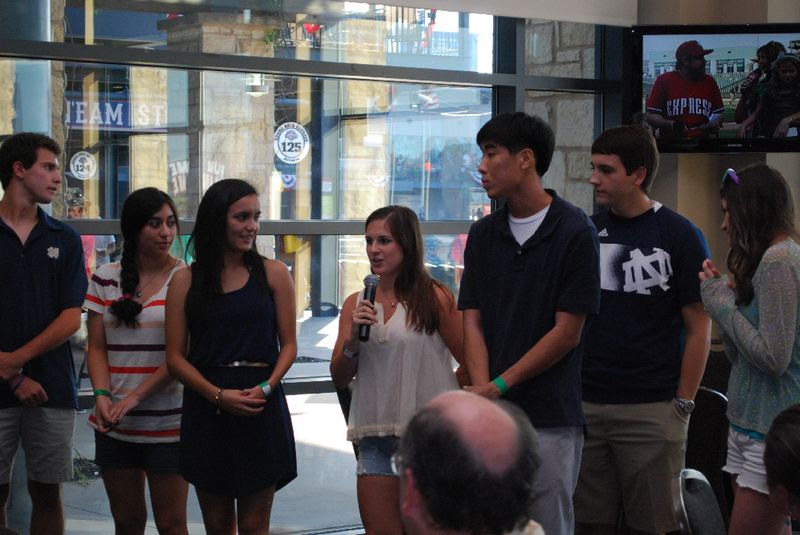 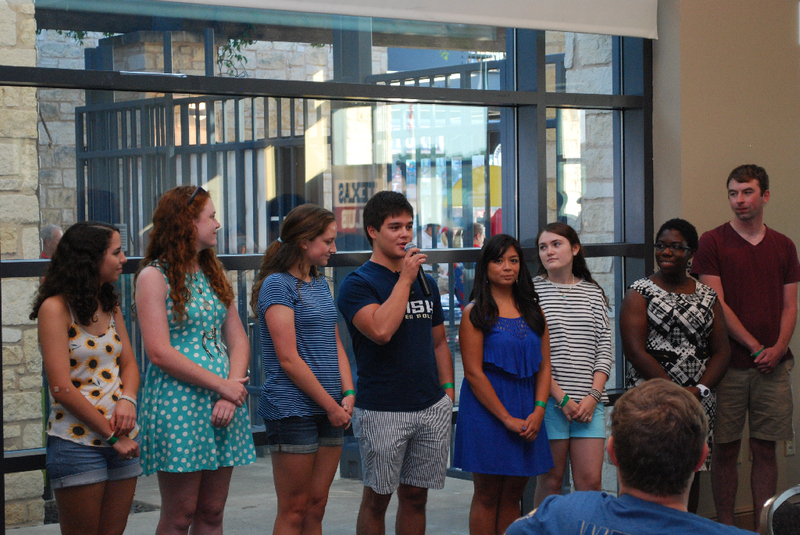 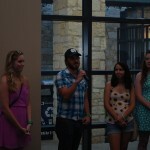 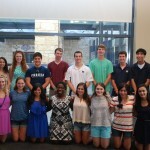 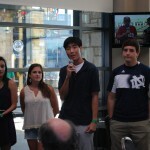 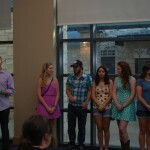 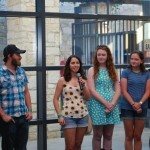 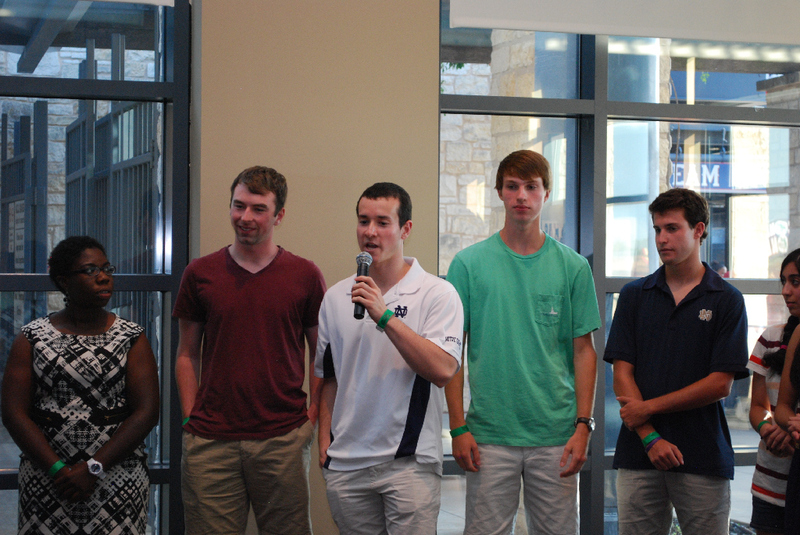 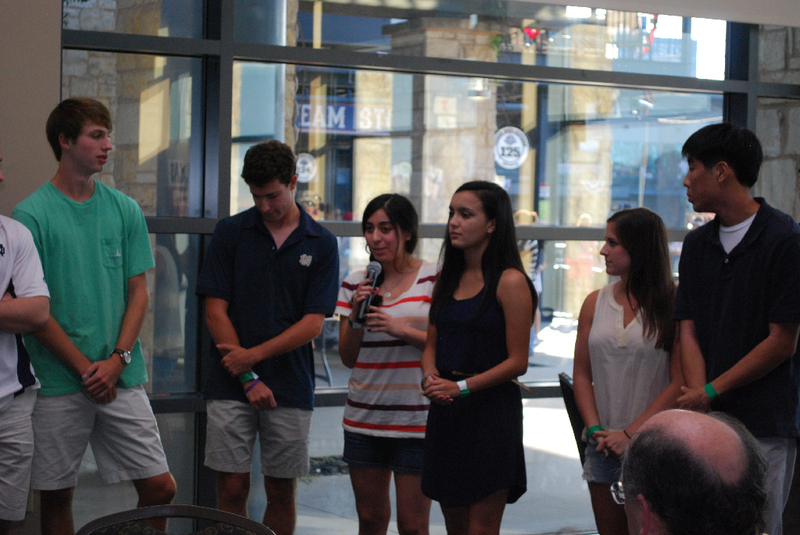 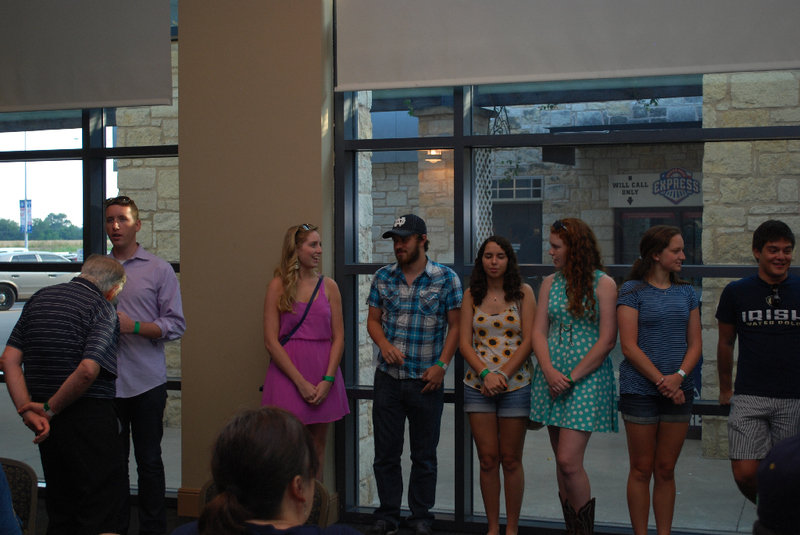 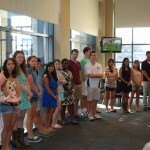 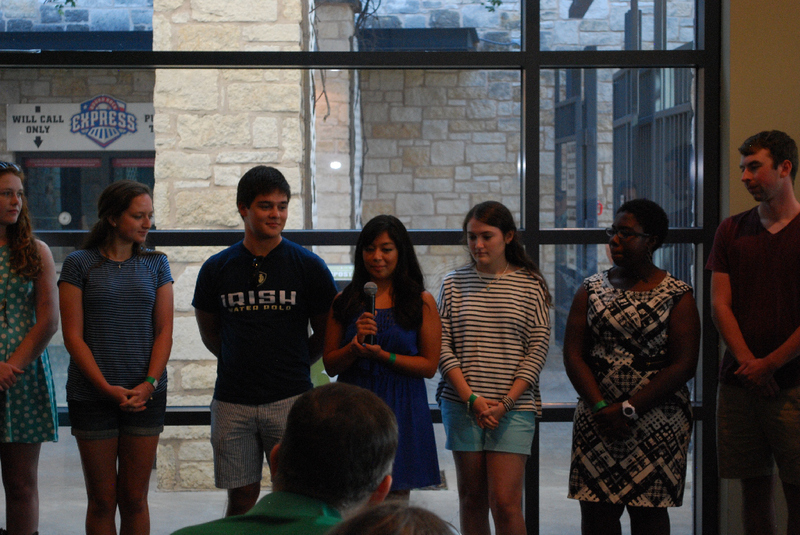 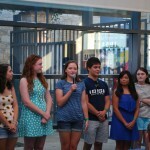 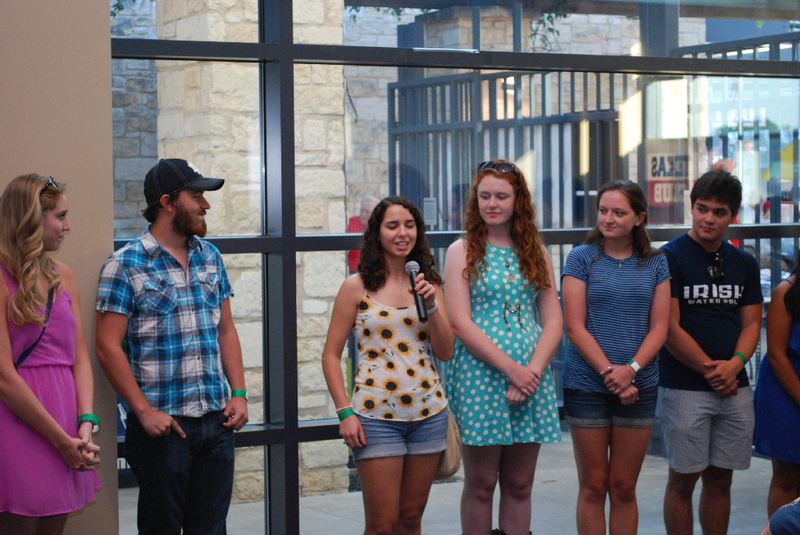 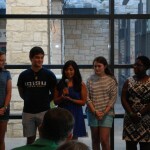 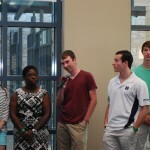 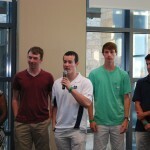 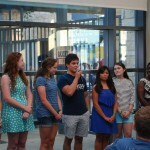 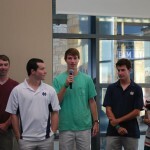 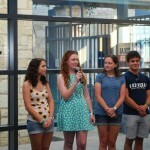 With the help of a number of ND Club of Austin sponsors, all current students were granted free admission to the event. 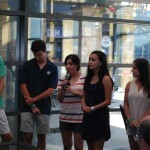 Our turnout included eighty attendees, a quarter of which were current students. 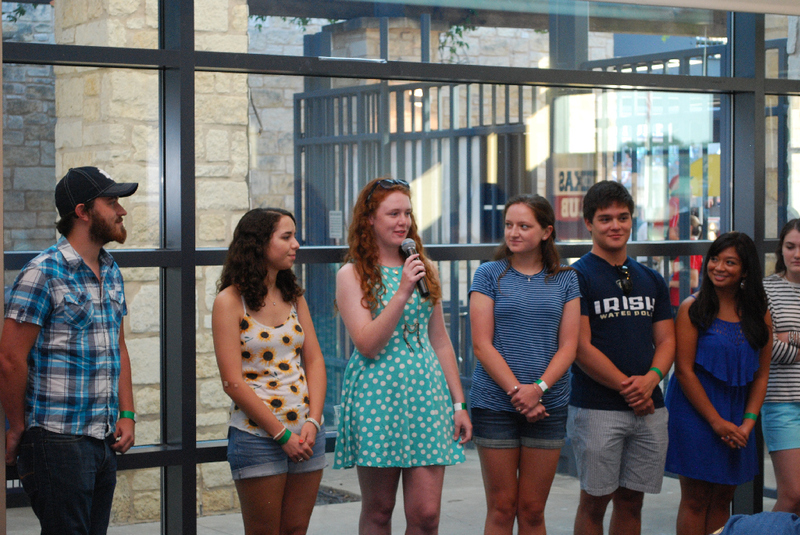 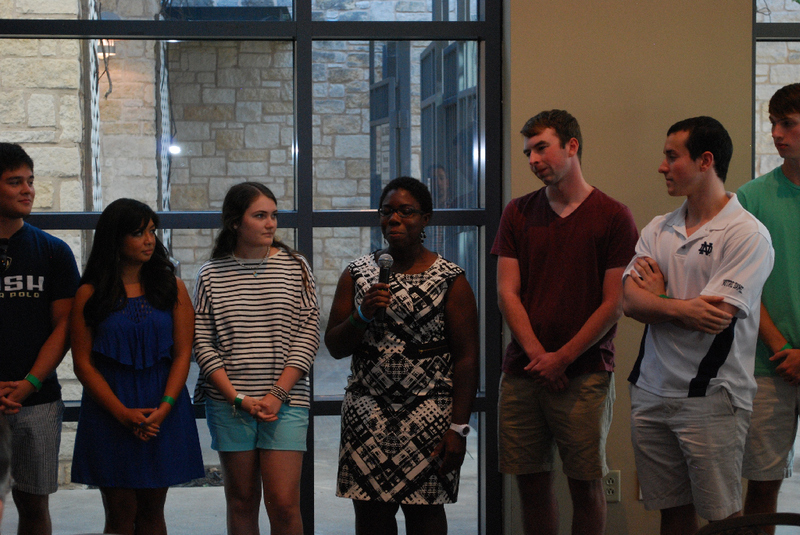 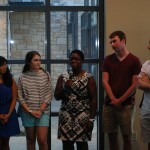 In addition, we were joined by two representatives of the Texas Club, a student-body organization that promotes camaraderie and service on campus. 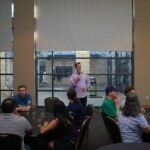 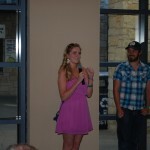 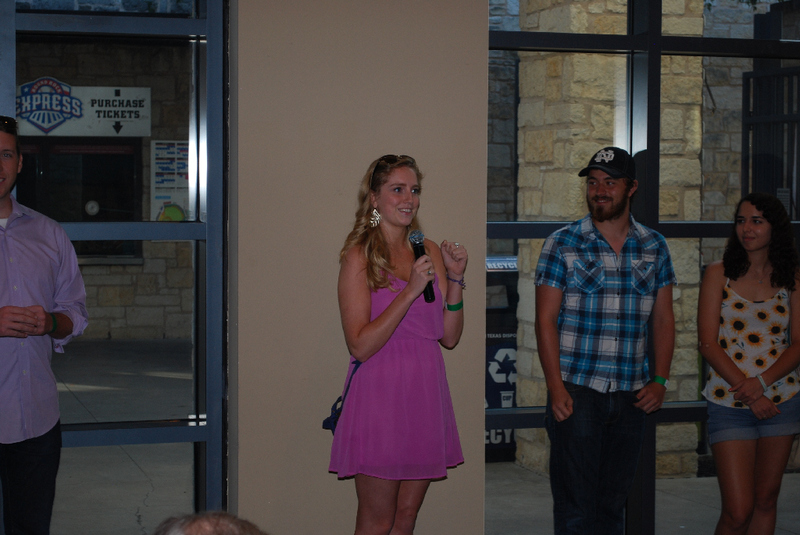 The event was held at the Dell Diamond on August, 3rd. 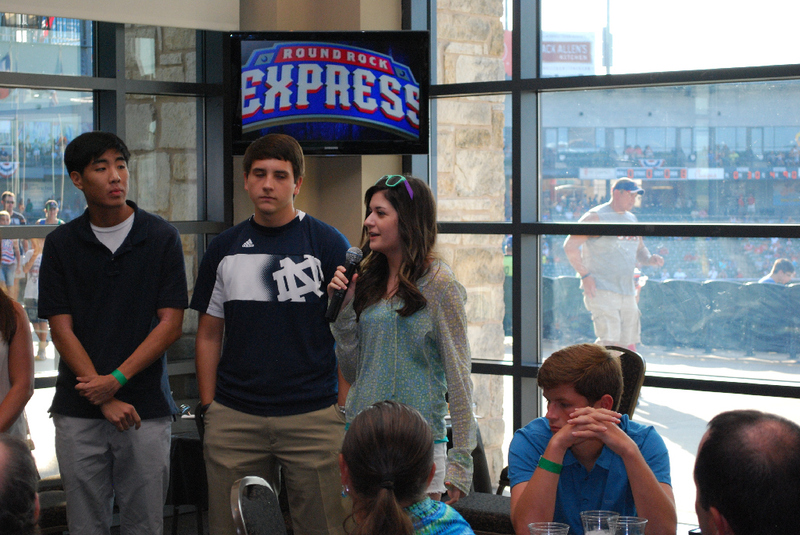 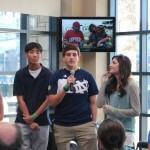 The Round Rock Express lost both games of the double header to the Memphis Redbirds, but that didn’t impact our event. 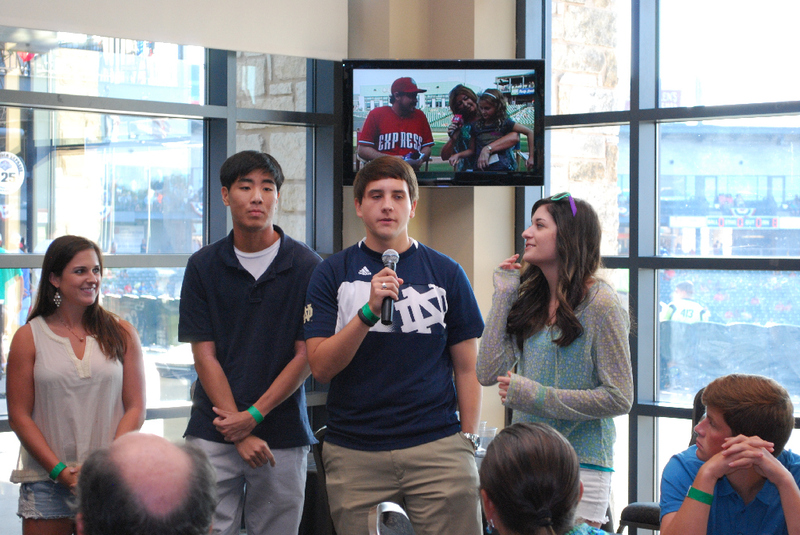 At intermission between the two games, the current students introduced themselves to the audience and shared their name, year, and focus of study. 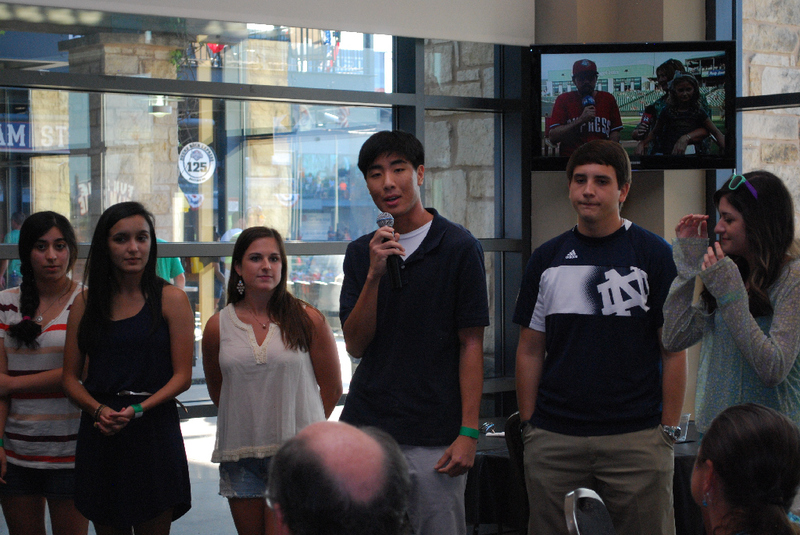 Each student left the event with our famous ND Club of Austin t-shirt. 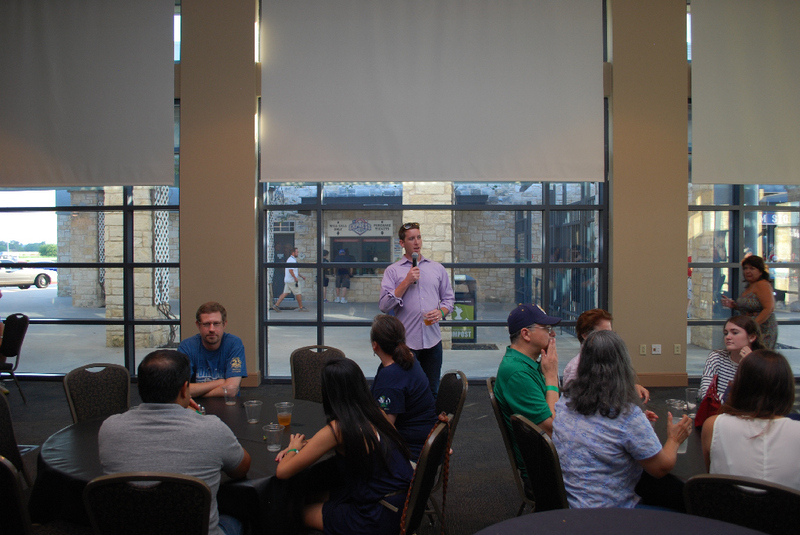 The event provided a great opportunity for students, family, and alumni to network and share stories. 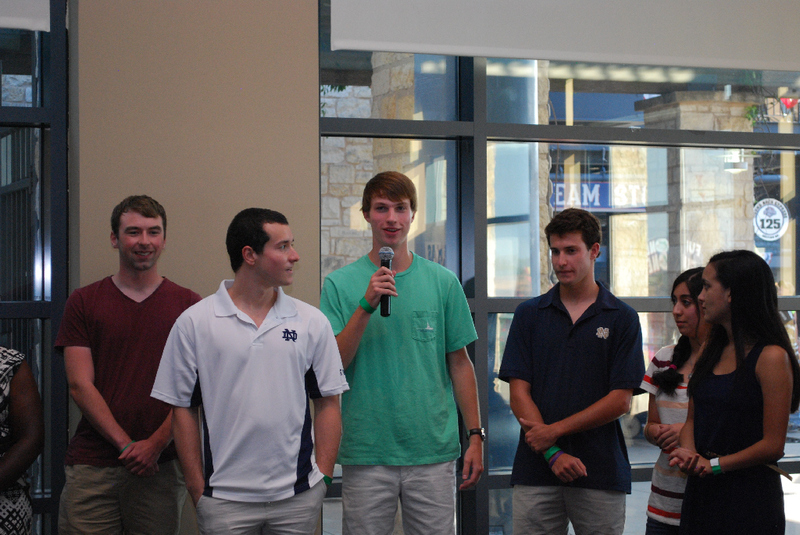 We couldn’t be more excited to send the next generation of Domers to South Bend! 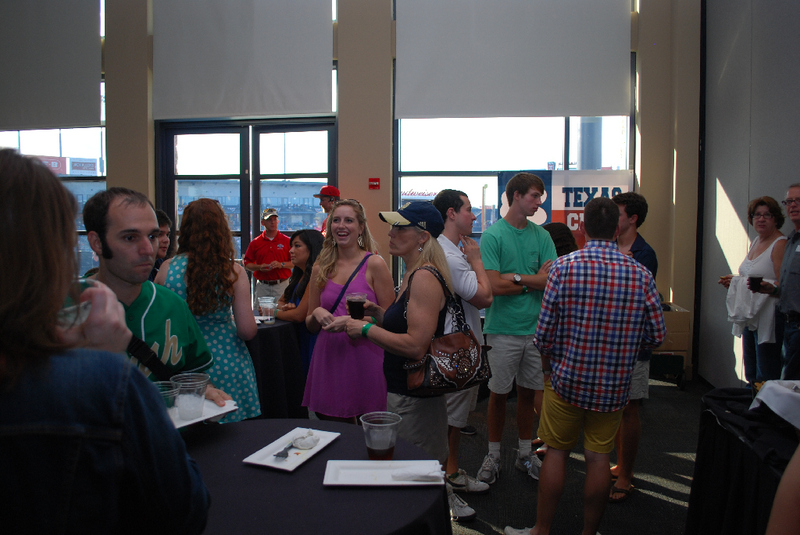 Come for some ballpark fun, connect with fellow alumni and friends, and join us in welcoming our incoming freshmen and returning students! 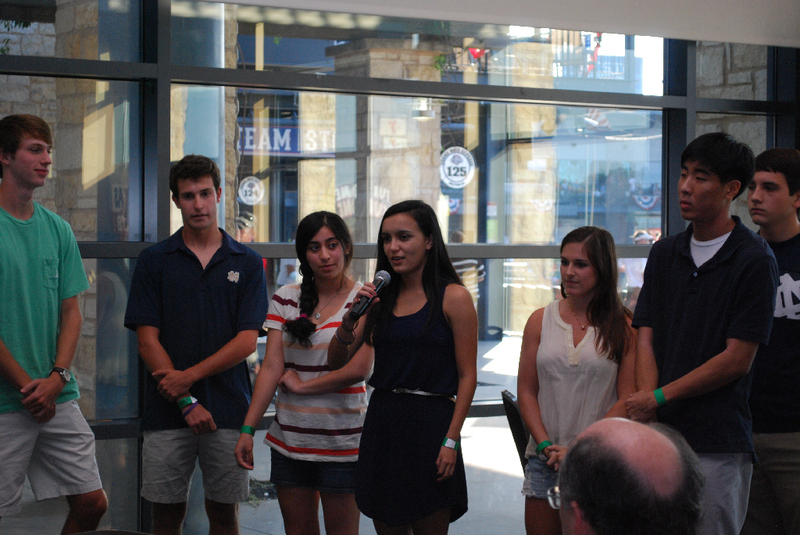 This year’s event features a double header against the Memphis Redbirds. 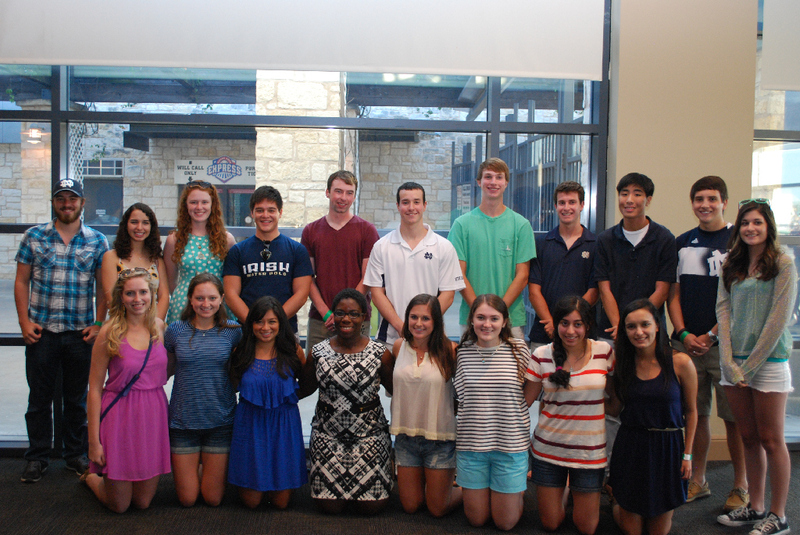 Spike (the awesome mascot) will also swing by for a visit and photo opportunity with our current students. 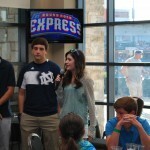 The Club has reserved the United Heritage Center at the Dell Diamond; an indoor venue that overlooks first base. 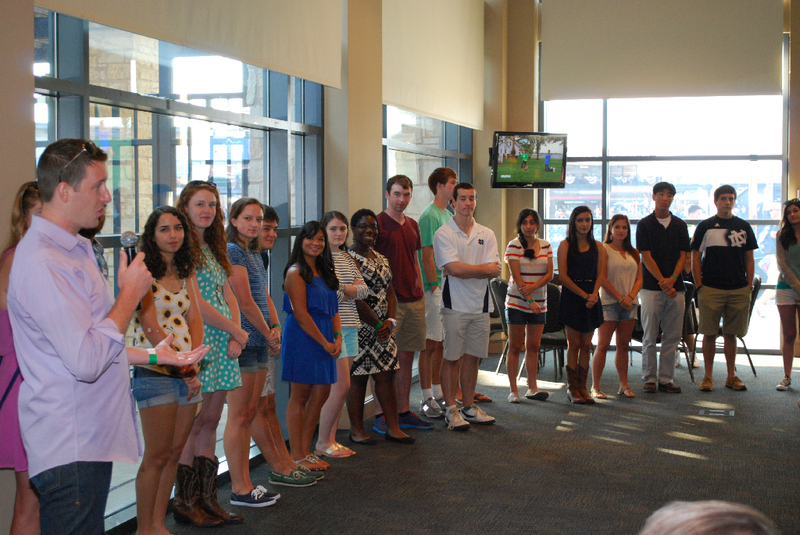 Some of our lucky current students will have the opportunity to to participate in some fun activities between innings on field. 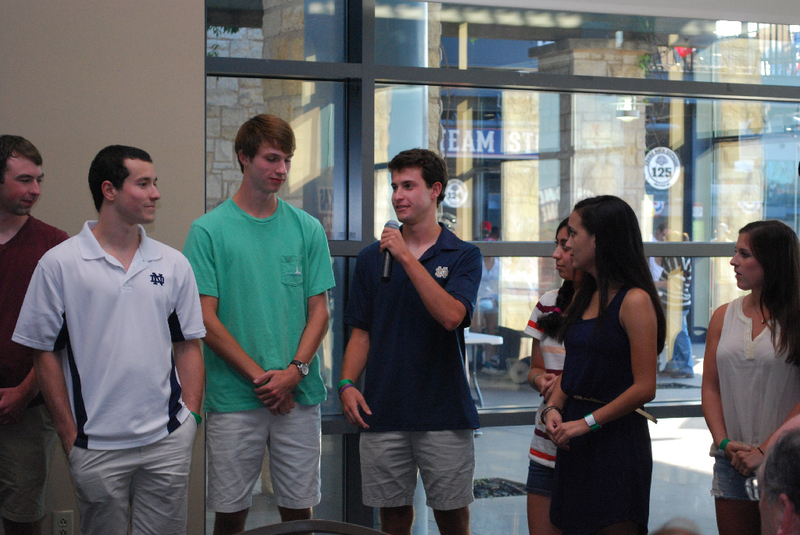 In addition, the club will be giving away great memorabilia, including a signed Brian Kelly football and Mike Brey basketball! 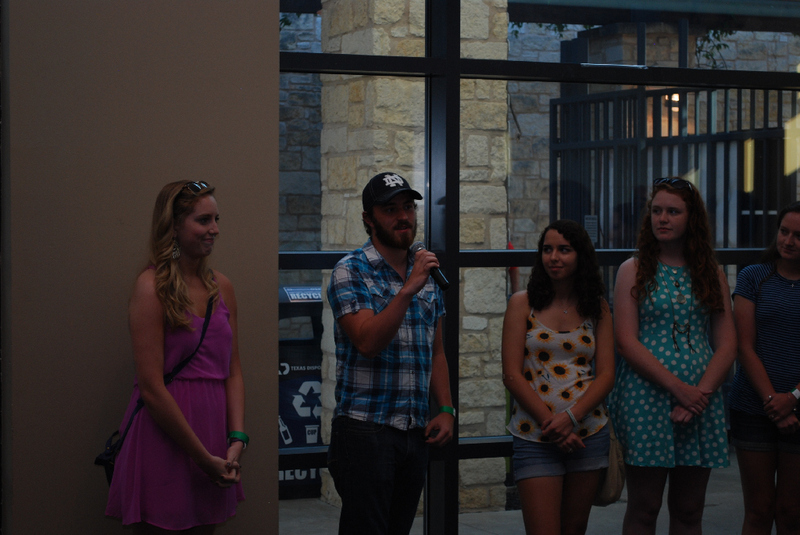 August 3rd is also Kids Day at the Dell Diamond. 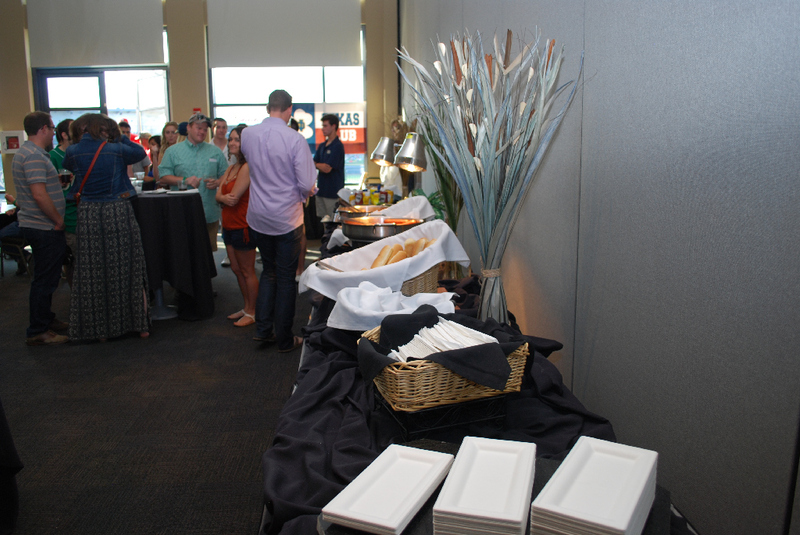 All kids can enjoy inflatable interactive games prior to the double header, and will have the opportunity to run the bases following the game. 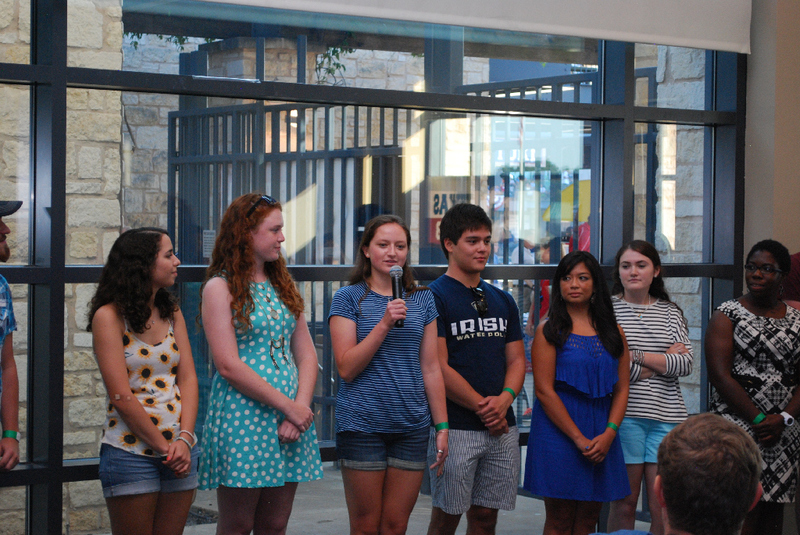 In addition, kids will also be receiving a free HEB backpack! 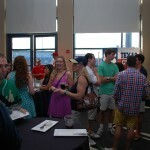 Tickets are $40 (children 4-and-under are free!). 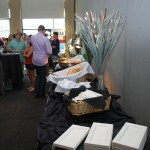 Entry to the event includes a game ticket, parking pass, an all you can eat buffet, and unlimited beverages/beer.